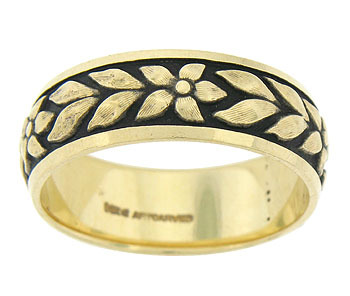 Large delicately engraved blooms and leaves seem to burst from the face of this romantic 14K yellow gold wedding band. 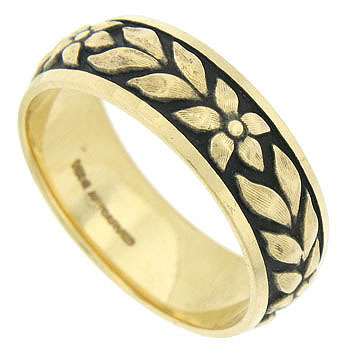 The surface of the ring is darkened to further enhance the floral design. 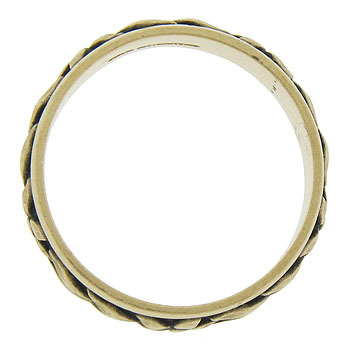 The wedding ring measures 7.29 mm in width. Circa: 1960. Size 10 1/4. We cannot re-size.